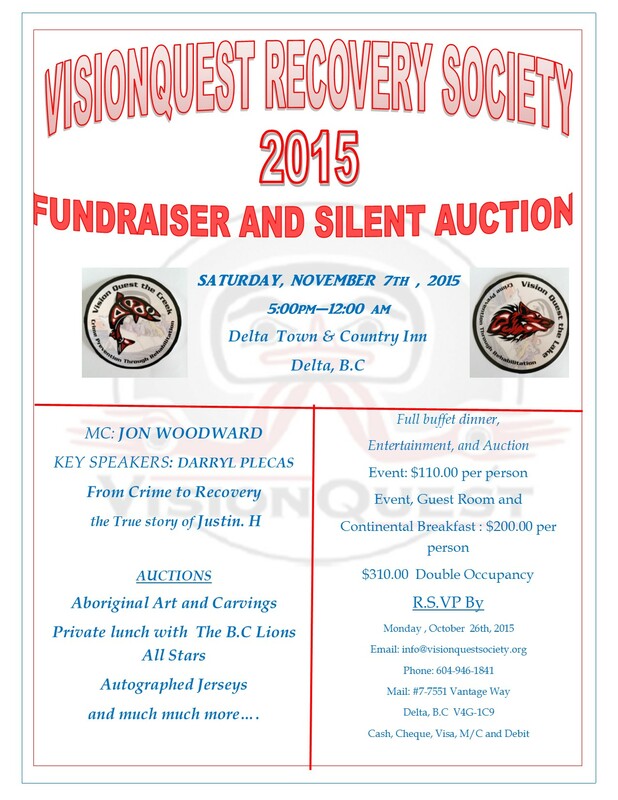 VisionQuest Recovery Society will be having their annual fundraiser and silent auction on November 7 at the Delta Town & Country Inn. VisionQuest Recovery Society help individuals heal from the disease of addiction. Six residential treatment facilities in B.C. provide comprehensive healing programs, life skill programs, and a network of counsellors and physicians to aid men and women in a transition back into community. Learn more about Addictions Recovery and VisionQuest.